by Matt 07/05/2018 04/23/2019 . H. Pylori is a difficult infection to treat with conventional antibiotics because of problems such as antibiotic resistance. Often, people with the infection have to use triple antibiotic therapy or quadruple therapy, which involves antibiotics and medications to reduce stomach acid. And even then, cure rates are only as high as eighty-four percent. Not only does the infection cause very uncomfortable symptoms, but it can also raise the risk of stomach cancer if not treated and eliminated. Loss of appetite – You don’t feel hungry, but when you do eat, you start to feel full soon after eating. Stomach pressure – Under your rib on the left side, you might notice stomach pressure. Nausea – Stomach inflammation can lead to feeling nauseous. Acid Reflux – You may have symptoms like burning and hoarse voice because the stomach acid starts causing inflammation and damaging the vocal cords. Weight loss – Due to a decreased appetite, you will likely experience some weight loss. Antibiotics are life-saving for millions of people and thankfully still quite effective for many common bacterial infections. Although, time may be running out, as problems with resistance increase with continued antibiotic use. When antibiotics start to fail, we have to turn elsewhere because the introduction of new and effective antibiotics are slow to come to market. Now scientists are taking inspiration from nature and looking at plant-compounds to see if they are able to enhance the antibacterial effect of antibiotics, as well as reverse resistance, or even give some more insight into new approaches to developing synthetic and more potent versions of current natural compounds and antibiotics found in nature. However, even in their natural form, some remedies derived from plants and mushrooms can be effective by themselves at eradicating infections. But there is a caveat: the fact is that many plant compounds which display significantly antibacterial effects in the lab, may not work when used in humans because of the way humans metabolize plant compounds. That being said, natural treatments could be a more viable option when it comes to stomach problems like H. Pylori because the compounds can have direct contact with the lining of the stomach and the virus shortly after being consumed. 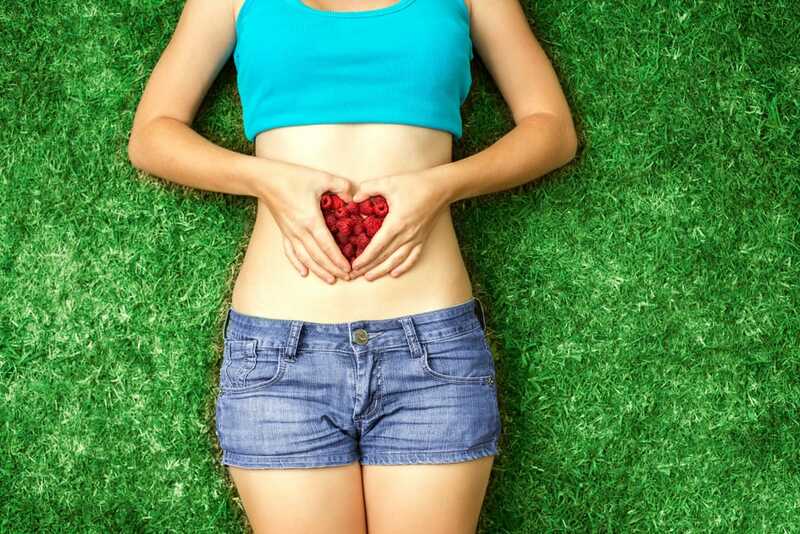 Disclaimer: These natural treatments recommended here are compiled from scientific research, my own experience in curing gastritis caused by H pylori, and feedback I’ve received from others. Be sure to consult with your doctor if you opt for natural treatments! Sulforaphane was used in one randomized controlled study in 50 patients who tested positive for H.pylori. The researchers showed that eating 70 grams of three day old germinated broccoli sprouts can inhibit gastritis caused by H. pylori. Sulforaphane found in broccoli sprouts seems to work in two ways: through a direct antibacterial effect and by increasing Nrf2 – a major antioxidant enzyme which leads to a decrease in reactive oxygen species and prevents damage to the stomach wall. In the study, they showed that consumption of broccoli sprouts leads to a decrease in urease measured by a urea breath test, as well as an H. pylori antigen stool test. Furtheromore, biomarkers of stomach inflammation were also decreased in the broccoli group but not the placebo. Although sulforaphane did not eradicate the infection fully in this study, it did significantly reduce the number of bacteria and gastric inflammation. Therefore sulforaphane supplements could be valuable in fighting H. pylori infections . In a study from 2001, researchers looked at the effect of beta-carotene, ascorbic acid, and allicin in eradicating H. pylori, then compared it with the standard protocol which was two antibiotics and a proton pump inhibitor. Standard protocol – 66% eradication of the bacteria. Allicin (4200 mcg) + standard protocol – 90% eradication of the bacteria. Allicin (1200 mcg) – 23.3% eradication of the bacteria. Taking garlic supplements which contain stabilized allicin will likely be more effective than consuming raw garlic. But a more recent study from 2016 suggests that just eating two medium-sized cloves of garlic (noon and evening) can have a meaningful antibacterial effect on H. pylori in the stomach . In a study looking at the effect of manuka honey on H. pylori growth, researchers were able to show that the presence of Manuka Honey at just 5% of its full strength was able to completely inhibit the growth of H. pylori bacteria . They estimated that the dose which would be required to have an antibacterial effect would be around 2.5 ml of honey entering 50 ml or less of gastric fluid before a meal. In my own experience, manuka honey was extremely effective at treating gastritis caused by H. pylori. For a while, I had been experiencing symptoms like GERD and thought that I kept developing norovirus infections, but all along it was a chronic H. pylori infection. Within days of taking manuka honey with some toast and olive oil (I took it several times a day for about 2 weeks), the infection was completely eradicated. In fact, within just two days I could swallow food more easily and I stopped feeling pressure on my stomach that was caused by inflammation. Initially, I only used manuka honey for about to weeks, so the symptoms did come back after a while. In my second attempt, I used it for over a month and the infection hasn’t returned in over 11 years. This is the brand of manuka honey that I used to help cure the infection. Taking probiotics before, during, and after treatment with antibiotics for H. pylori, may help improve eradication rates according to a few studies performed in humans. 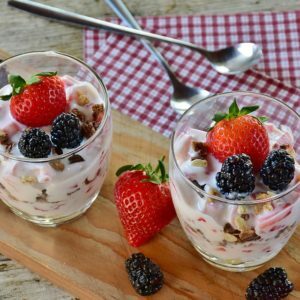 In one study published in the ‘American Journal of Clinical Nutrition’, 138 patients who had failed triple antibiotic therapy were enrolled into a study where half of them were given Lactobacillus and Bifidobacterium-containing yogurt for 4 weeks prior to treatment. 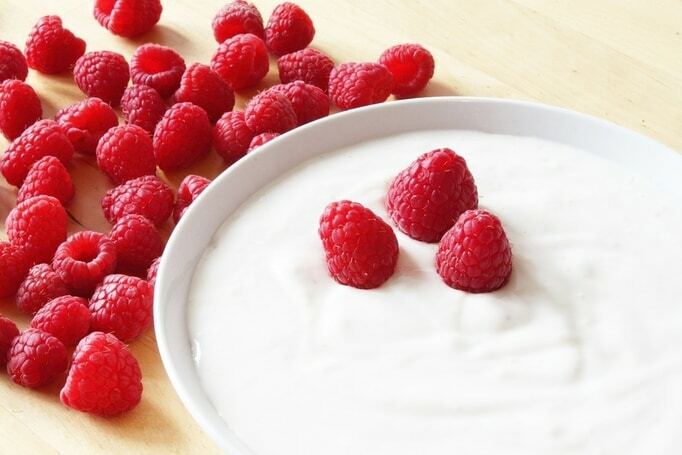 In the study, they saw that probiotics were able to increase the eradication rate of H. pylori in the infected patients to 85% compared to 71% for patients in the quadruple antibiotic therapy. In another study that used probiotics after treatment, researchers showed that the eradication rate increased from 60.8% to 79.2%. The researchers believed that the probiotic bacteria may have inhibited any residual bacteria left over after treatment . Green tea contains polyphenols which have some antibacterial effect and can help quell inflammation in the stomach. In this study, green tea had a bacteriostatic and bacteriocidal effect on both H. felis and H. pylori bacteria. Green tea may be a good preventative for both preventing infections and also reducing inflammation of the stomach if consumed before exposure to H. pylori. If you’re going to include green tea into your regimen, make sure you choose green with the highest levels of EGCG. You can find out more information about the difference between matcha and sencha here. Licorice may have a place for patients looking for an alternative treatment to the medication Bismuth (antacid). Patients taking the standard quadruple protocol to eradicate H. pylori, which includes bismuth, were compared against another group of patients using licorice in its place. The study used 380 mg of licorice, twice a day, and found that it was as effective as bismuth, based on outcomes such as gastritis, gastric ulcers, duodenitis, and duodenal ulcers. Licorice not only has an antibacterial effect against H.pylori, but it also helps stop the bacteria from sticking to the walls of the stomach . Resveratrol is found in grapes and red wine, but getting enough of this compound can be difficult unless you supplement it. 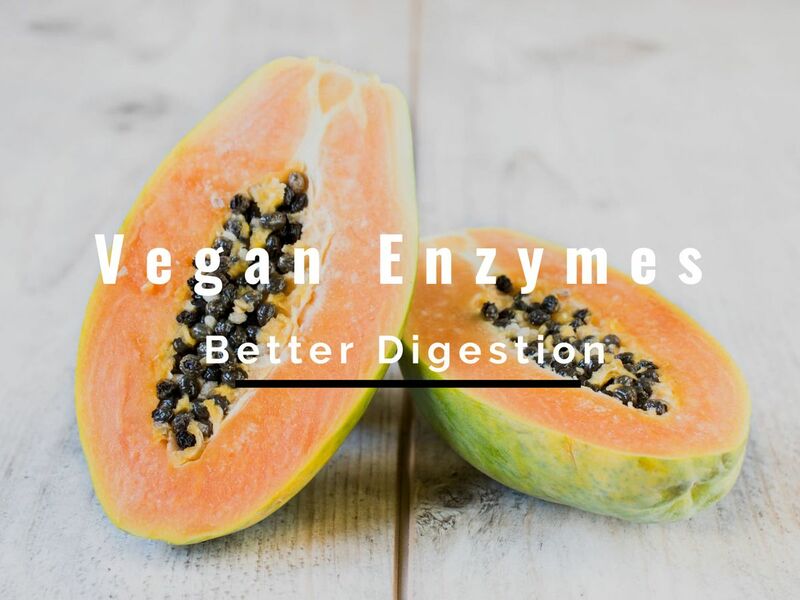 It has powerful antioxidant effects and antibacterial properties that make it very useful in helping inhibit gastric inflammation and also inhibiting the growth of the H. pylori bacteria, even at concentrations as low as 6.25 – 25 mcg/mL . Studies have shown that olive oil is effective at killing H. pylori and that it’s stable enough in the presence of stomach acid to be a useful treatment. In one study, 30 patients who had been tested positive for the infection received about 30 grams of olive oil for 14 days. Around 24 – 72 hours after the last dose of washed virgin olive oil, 12 of the 30 patients showed a negative H. pylori result. However, after 4-6 weeks, only 8 of the 30 still had a negative result. In the second clinical intervention, only 3 of the 30 were negative after 4-6 weeks, but 24 – 72 hours after the last dose of unwashed virgin olive oil, 5 of the 30 tested negative for H. pylori . However, thirteen of the patients had to withdraw due to the taste and nausea from the olive oil treatment. Although in these studies olive oil didn’t provide a complete cure for the infection, as many patients ended up tested positive again for H. pylori, olive oil can be consumed safely every day and it’s also very beneficial to health. Your results may be better with continued use of polyphenol-rich extra virgin olive oil. Both come from the same family and have shown (in vitro) to have significant antibacterial effects against different strains of H. Pylori. 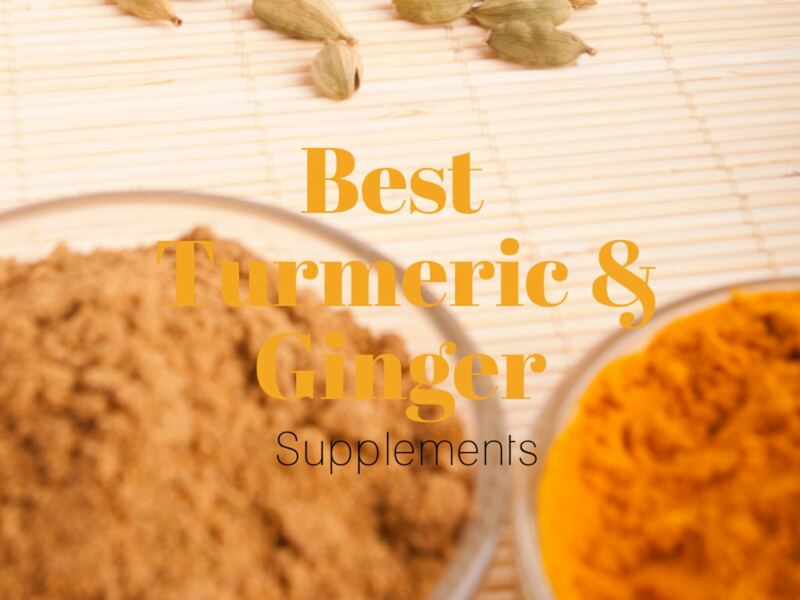 While turmeric has a powerful anti-inflammatory effect due to its high curcumin content, ginger acts as an anti-emetic and may, therefore, help reduce nausea and improve appetite. If you make some toast, you can use a tablespoon of extra virgin olive oil and then take 5 – 10 allicin capsules (180 mg each) pour them on top of the bread and consume. You could also add a banana on top and this, as it will help keep the ingredients in the stomach long enough for the ingredients to have a positive effect in the stomach. H. pylori infections can be really uncomfortable and withstand some of the strongest antibiotics we have today. Often, people live with chronic stomach pain for months or even years because treatments have failed. Nature provides some effective compounds which can help eradicate the infection, especially when used in combination with standard antibiotic therapy. Foods such as garlic provide powerful antibiotic compounds like allicin, which is known to kill a wide range of bacteria and has been studied extensively for treating infections. Other compounds like sulforaphane, EGCG, curcumin, resveratrol, as well as various strains of probiotic bacteria and manuka honey, appear to be very effective in improving current antibiotics for H. pylori and are effective by themselves in some cases. Other foods such as olive oil, ginger, and licorice can be added to the diet and may help further reduce some of the symptoms of the infection. Updated and reviewed: March 2019.